India is the second largest market for German carrier Lufthansa, after North America, in numbers. In return the all member airlines of the “Lufthansa Group” including SWISS, and Austrian Airlines devote a considerable share of their fleet to India, while Brussels Airlines has a strategic partnership with India’s largest private carrier Jet Airways. The deployment of the 747-8i was not driven solely by Lufthansa’s own priorities. 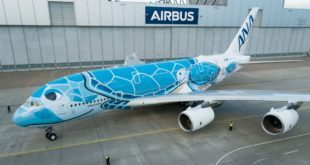 The Government of India has been sitting on the carrier’s request to deploy the Airbus A380 superjumbo to New Delhi. As per sources, the carrier has also run in to a diplomatic spat when the Star alliance “indefinitely suspended” national carrier Air India’s entry. 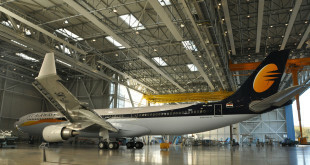 Lufthansa is the mentor for Air India’s entry, and is also a founding member of the alliance. With the Indo-German bilateral agreement allowing generic “747” aircraft, most industry insiders felt operating the 747-8i was a smart move, especially on the lucrative Delhi and Bangalore sectors which. like all other Lufthansa Boeing 747-400 destinations, are suffering from an outdated business class cabin, that the 748i will remove. Just last week, for unexplained reasons, Lufthansa put paid to the hopes of its many Indian fans and announced the 748i would be first deployed to other north American destinations like Chicago and Los Angeles, ahead of India. The reasons for this move remain unanswered, despite our best attempts. There have been a few bumps in the road. In 2011, Lufthansa Group announced a couple of changes to its Indian operations, with the first being that Austrian Airlines service between Vienna and Mumbai was being canned yet again. The flight had just resumed in 2010 after being dropped before in 2008, but apparently Austrian Airlines’ network cuts (especially on the long haul side) were just too deep to make a Mumbai flight viable. Meanwhile Lufthansa itself announced an end to flights between Kolkata and Frankfurt, marking another “nail in the coffin” for international long haul services from the city. Domestic traffic growth in Kolkata remains very strong, but if they are not careful over in Bengal, they might find their international airport in a state of permanent “bandh” from all non-Gulf international carriers. Internationally, the Kolkata market is very low yield and dependent heavily on visiting family and relatives (VFR) traffic which becomes marginal in times of economic trouble, such as now., when carriers like Lufthansa have to face the dual threat of a double dip European recession and ever-rising fuel prices. That being said, we’d like to take a look at Lufthansa Group’s operations within India. Currently, the trio (Lufthansa, Swiss, Austrian) operate close to 66 flights per week for the April-June semi-peak season from five Indian ports to four European hubs. Secondly, the entire business model for Lufthansa Group’s Indian operations is based on connecting traffic. In 2009-10, as per DGCA, Lufthansa proper carried 1.137 million passengers to and from India. A staggering 988,000 of those passengers or 87%, were carried as 6th freedom connecting passengers, while 149,000 were origin and destination (O&D) passengers traveling to Frankfurt and Munich. Meanwhile Swiss carried 203,000 total passengers to and from India, and 128,000 or 63% of those were 6th freedom connecting passengers, while 75,000 passengers flew directly to Zurich. Finally, Austrian carried 97,000 passengers, with 83,000 connecting and 14,000 O&D for an 86% connection ratio. European connections certainly play a big role in Lufthansa Group operations from India, but these have become much more lower yielding in the past few years as gulf behemoth Emirates has continued to balloon and now offers the same one stop service to most European destinations as the European carriers. Either way, Vienna, Munich, Frankfurt, and Zurich all have hundreds of European flights at every possible hour of the day, so the European connection line is clear. Furthermore, because of the continual frequency, the carriers do not need to structure their operations around European flights. Thus when analysing the structure of the Indian ops, we will primarily consider connections to North America and Brazil, which are the two largest traffic bases to and from India. For Indian Americans, the most important destinations are Toronto, New York/Newark, Los Angeles, San Francisco, Chicago, Boston, Washington D.C., Sao Paulo, Vancouver, Houston, and Dallas-Fort Worth. On a hub by hub basis, all of the above destinations are served from Frankfurt with the remaining three hubs (Munich, Vienna, Zurich) having mixed services to those destinations. The tables below are as follow. The first table is a synopsis of India-EU services on Lufthansa group, with the arrival times into the European hub highlighted. The next four charts denote departure times (of the earliest flight when there are multiple daily flights) to the destinations we mentioned above from Frankfurt, Munich, Zurich, and Vienna in that order. As expected, Frankfurt provides the most connectivity by far, with service to all of the destinations but two (Newark and Toronto) lining up within 2.5 hours of arrival times from India, which occur between 7 and 8:30 am. Furthermore, those two destinations have earlier service from Lufthansa’s trans-Atlantic joint venture (JV) partners United Airlines and Air Canada. This JV basically allows these carriers to act and operate as one airline across the Atlantic; they share revenues, costs, and profits). Frankfurt is unique amongst these hubs as it has 2 banks of departures to North America, one that occurs in the morning around 10:00 am and is designed to facilitate connections from Asia and the Middle East, as well as one in the early evening around 6:00 pm to allow connections and O&D from Europe and Africa. The one outlier from India is the flight from Pune, the all business class, PrivatAir operated, Boeing 737 Lufthansa Business Jet, which arrives in Frankfurt at 12:10 pm, and basically caters to the senior management O&D traffic between Europe, Germany included and the many European auto manufacturing companies located in Pune. When traveling to these European airports (with the exception of Zurich) long haul connections are a little more complex, as passengers must often pass through security checkpoints for a second time. Thus the two to three hour wait till the US flights is actually quite necessary, and it is often all but impossible to make a long haul connection in Frankfurt in less than an hour. At the same time, Lufthansa cannot afford to put too much time between the connections so as for them to lose their viability amongst business travellers (the typical maximum is somewhere between 3 and 4 hours). The operations in Munich and Zurich are a bit more mixed. Once again, flights are timed to arrive in the morning (excluding Delhi-Munich which is likely the way it is because of aircraft rotation needs), but the flights to North America are a little more diverse, primarily because neither Munich nor Zurich is a strong enough hub to support two banks worth of North American flights. Still the pattern is relatively clear; the core Indian flights arrive before flights to the US/NA depart in each case. Vienna does not have the same value proposition, though the connection time is adequate (4 hours or so). But they no longer have enough US destinations to really sustain flights from Delhi, meaning that the route is heavily dependent on European connections. And with the MEB4 (MEB3 + Turkish) continuing to chip away at the Asia-Europe market, that’s not really a strong place to be from a yields/profitability perspective. Geographically, Vienna is just 400 km east of Munich, and as such is only a more convenient connecting point for travellers to the Balkans and Eastern Europe. But the primary base of profitable India-Europe connections is to Western Europe, and as such, Delhi-Vienna is a largely redundant route in the overall Lufthansa group. Thus we feel that it is likely that Vienna-Delhi will be cut again rather soon, especially with Austrian Airlines facing severe financial troubles. The 260 seats per day out of Delhi that are lost can be replaced entirely if Lufthansa is allowed to bring the 525 seat A380 onto Delhi-Frankfurt, or partially through up-gauge in equipment of both Munich and Frankfurt to Delhi. While I chose Sao Paulo as a representative route for South America because it is the single largest destination from India, the same applies to Latin America in general, where the majority of Lufthansa departures are scheduled for the late night, creating a 12-15 hour wait between arrival from India and departure. This is largely a value proposition, as the South American O&D market favours these sorts of timings. However, what this has done in effect is allow the MEB4 to clean the EU carriers’ clocks on the growing India-Latin America market. Previously, passengers travelling from India to Latin America connected in Europe almost by default, as these were the only convenient one-stop options, even with double digit layover lengths. But now, with the onset of Middle Eastern and even Asian flights to Latin America, it has become easier for Indian travellers to get to and from South/Central America, right as the market has begun to explode. Within a few years, it is projected that city pairs like Mumbai-Sao Paulo will have enough O&D demand to sustain a nonstop flight (though the distance is too far to permit such operations). Thus Lufthansa has locked itself out of a growing market, a fact that becomes apparent when one realises that it is actually quicker to fly Mumbai-Singapore-Barcelona-Sao Paulo on Singapore Airlines than Mumbai-Frankfurt-Sao Paulo on Lufthansa thanks to the super long layover. Obviously for Lufthansa, their own O&D considerations are more important, but perhaps in the future, they will introduce another daily flight from Mumbai and Delhi that can connect more efficiently to their evening and night long haul banks; perhaps once they acquire the next generation of more efficient long haul aircraft like the Boeing 787 and Airbus A350. So what does the future hold for Lufthansa group in India? Firstly, consolidation will be very important. Hyderabad and Kolkata have already been dropped from the roster of destinations, and expect capacity to cluster in Mumbai, Delhi, and Bangalore (the three current Boeing 747-400 destinations). In my opinion, Austrian Airlines will keep its services to India limited to New Delhi, but there is strong future potential for flights to be added from either Munich or Zurich to Bangalore in the medium term, four to six years out, by some other member of the group. Thus from a macro-level perspective, Lufthansa’s Indian operation will be largely stable as the carrier attempts to hold off the ever-growing threat from the MEB4. It will be critical that they find a local feeding partner as well, which can improve their traffic base in secondary cities like Ahmedabad, Kolkata, Hyderabad, Kochi, Amritsar and the like. 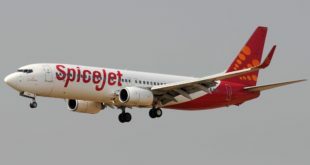 Whether the ever inconsistent Air India can reform its act enough to become that partner remains to be seen, but even the alternate case of taking on an LCC like SpiceJet is not the worst possible thing. It’s ironic, but perhaps for Lufthansa, the Indian Airlines-Air India merger was a bad thing. If the carriers had remained separate in 2007-8 then the well thought of and profitable (though it is unclear if that profitability would have survived the global financial crisis or onslaught of low cost carriers) Indian Airlines might have been the perfect feeder partner for both Lufthansa and Star Alliance. Next Huge hike in airport charges and fees for passengers and airlines at Delhi. Fares expected to increase.